YOUR JEWELS SHOULD GLEAM, but this season opt for more refined elegance in your selection of jewelry. Starting a tradition of family heirlooms to pass down from generation to generation? Making an investment in artifacts that express your personality and achievement? Either way, here’s a buffet of designers to give you a nudge in the right direction for solid decision-making. 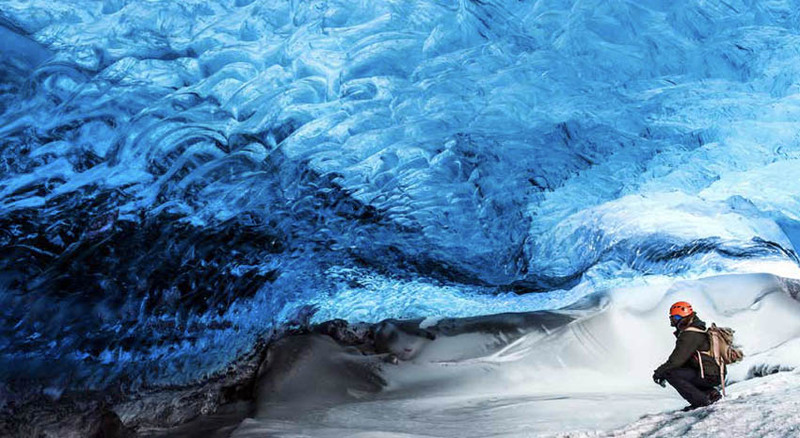 One-of-a-kind designs and remote locations characterize this class of jewelry, so prepare for the wow factor! Time to go Weil! Do you dance to your own drum? Dream of being a prima ballerina? 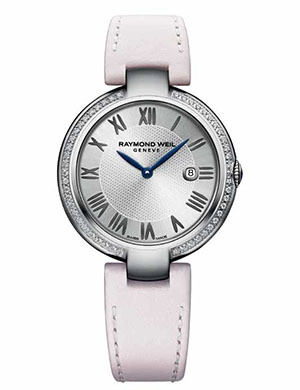 Ladies, here is your chance to live the lifestyle with the special edition Shine Etoile by Raymond Weil in collaboration with Repetto Paris. 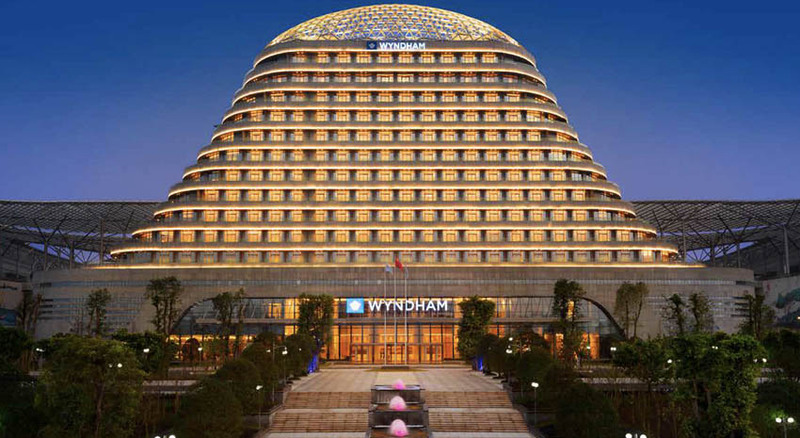 The perfect design collaboration will have you ready for a full day of activity. You may not be dancing en pointe, but you can remain elegant in yoga class and transition seamlessly into evening with this wardrobe essential. So be spoiled, have fun and remember to dress your watch. From $2,895. Tag — you’re it. 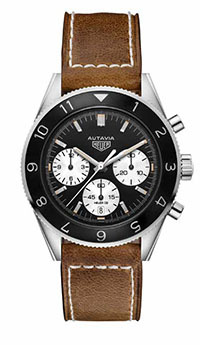 Tag Heuer celebrates in grand style with the iconic Autavia Calibre 02. It’s a good thing vintage watches never go out of style. The subtle brown leather strap mixed with a black automatic chronograph bezel makes for the perfect pairing. Your wrist will dance in stylish joy. From $5,150. 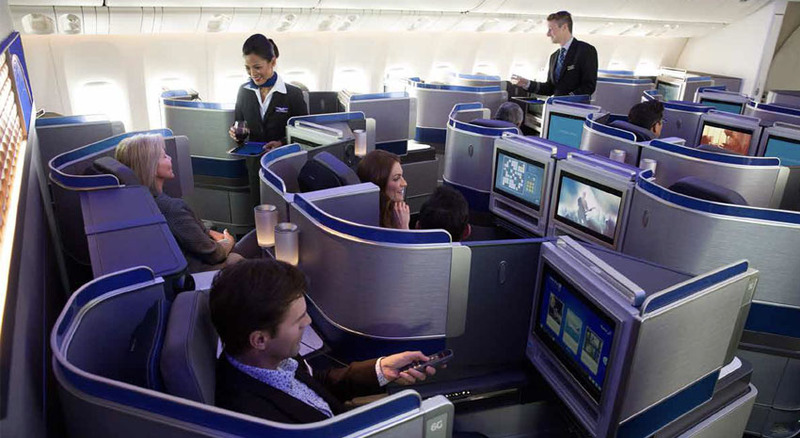 A global man’s touch! 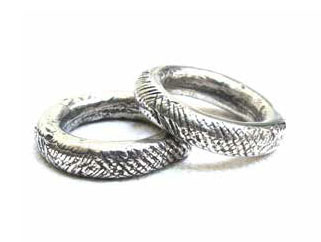 Leave it up to Jacqueline Rose to nail the African stack ring. The attention to detail and cultural spin on these accessories take you around the world in a day and keep you grounded in the beauty of the Serengeti. Wearing stackable and multiple jewelry pieces will never lose its place in classic style. Enrich the wardrobe of the man in your world with an influx of elegant tribal flair. From $135. No more boring diamond tennis bracelets. 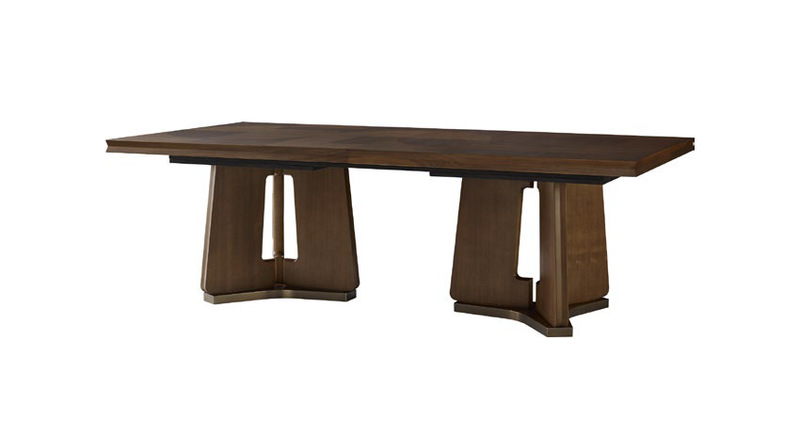 Beef up your presence and put the trite items in the safe — it’s time for robust statement pieces. 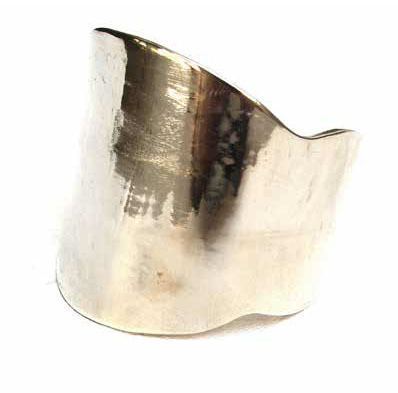 Invest in this gold cuff by Jacqueline Rose and your arms will attract attention from the airport ticket counter to the red carpet. This is the perfect transition piece from daytime bohemian to evening gala glamour. From $405. A decade of iconic design culminates in the Move XL Tenth Anniversary Necklace. Versatility reigns with this beautiful work of art. 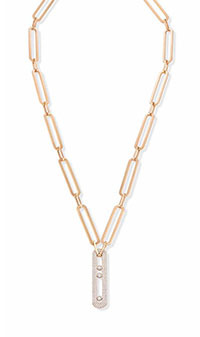 Worn short or long, with a vertical or horizontal pendant, you can have a field day and exude incredible style. Spoil yourself in white gold, pink gold, yellow gold … or buy all three — enjoy the assortment of brilliance in diamond design. This necklace excites with the slightest glimpse of the eye. Prices vary. Unique finds contribute to a stellar jewelry collection. Perish the idea of another having your exact same pieces! A recent journey to Nashville, Tenn., presented an opportunity for us to Wear Merry. Now you, too, can step up your game with one-of-a-kind, made-to-order bowtie necklaces. 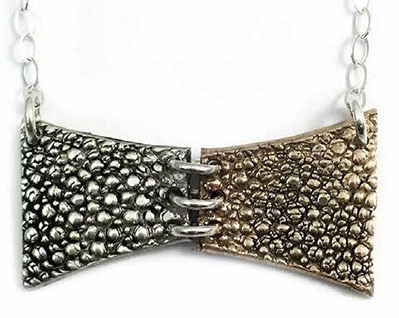 Made of polished, oxidized sterling silver and bronze, signed and dated, these stingray textured works of art can be passed down from one generation to the next as you begin a family heirloom tradition. From $285. Say hello to Nina Runsdorf and you will never be able to say goodbye. 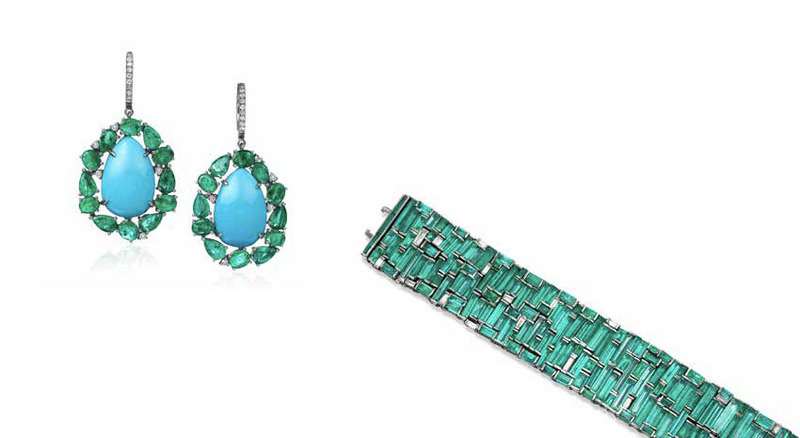 Nina masterfully manipulates 18K white gold, turquoise, emeralds and diamonds to make your mouth water over these delicious deliverables. The brilliant and vibrant colors in this exquisite collection celebrate all the goodness in life. Be the belle of the ball. Prices vary. Thin is in, and we are not talking about weight loss. The 18-carat yellow gold bracelet of the Royal Oak Extra-Thin men’s watch may weigh you down just a bit. However, somehow you will endure this luxury burden and symbol of wealth and power. The blue dial with the Petite Tapisserie pattern blends beautifully with the yellow gold applied hour markers with luminescent coating. Prices vary. 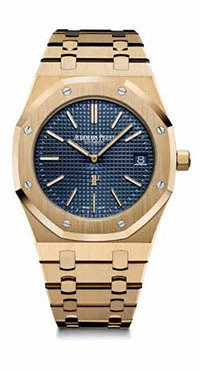 Be the trendsetter with the Royal Oak Frosted Gold watch by Audemars Piguet. Florentine gold hammering, a skeleton back and pink gold casing that radiates diamond dust sparkle is the ticket. 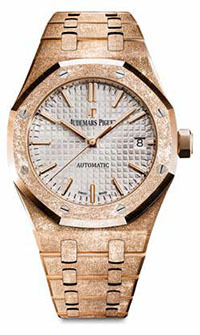 How does Audemars Piguet make this magic for the ladies? The craftsmanship of numerous small indentations creates an illumination with a blinding brilliance that makes you smile as you turn your eyes toward the glare-proofed sapphire crystal to check the time. And don’t be afraid to dip into the pool, as this timepiece is water resistant to 50 meters. Prices vary.